If I had a sub-title for this article, it would be “A Supra fine feast of fidelity” (I also thought of, and abandoned “Supra’s Ready!”, thus punningly revealing an early musical interest). This is just what my audio system has been waiting for. It started a few weeks ago when I spotted more than a few Trade Me listings. There was that name again, only this time in New Zealand. 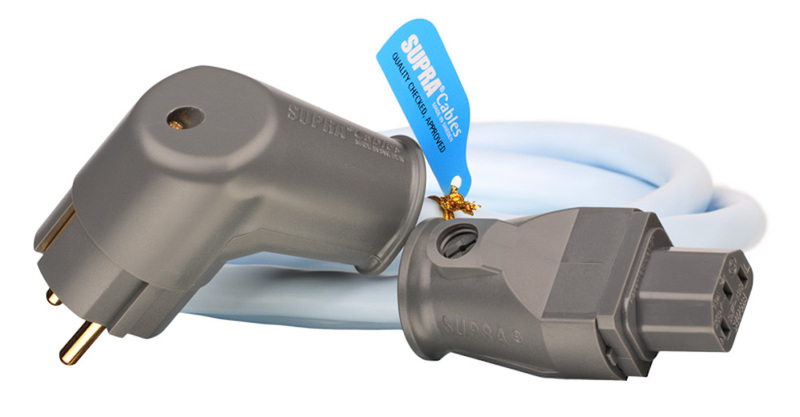 I see the Supra name mentioned often, and as I’d never used their products, I jumped at the chance to see and try a range of options close up, courtesy of the New Zealand importer/distributor Mark Polglase (Polglase Enterprises, Kumeu Auckland). This was when I realised that Supra products were readily available in New Zealand, although made in Sweden. If their performance/price promise was true, then here were affordable and sensibly-priced products that could make my music listening even better. The Jenving ‘concept’ is compelling. Plain simple no-nonsense design of innovative products derived from established scientific principles and manufactured in their own dedicated production facilities to the highest audible and measurable standards, constantly monitored by certified quality staff. On first inspection, these are obviously products designed with authentic advanced electrical engineering, attractive appearance, and backed with performance data, at attractive prices. The engineering quality of sonic purpose, design and manufacturing, is obvious and impressively high, so there is no doubt that they are fit for purpose – and at these prices I have no qualms about value for money. There’s an interesting interview with the founder, the late Tommy Jenving, at TNT-Audio, in which some key technicalities of design are discussed. Jenving Technology was founded in Sweden in 1976, and was the first manufacturer of audiophile cable, and they have continued to innovate with no-nonsense design and investment in in-house production processes and quality standards, winning many awards in the process. Until recently, somehow inexplicably, they had not been on my hi-fi radar. Having now heard of, but not heard with, these products, an audition was called for. I don’t enjoy the endless ‘do cables make a difference?’ arguments. Nor the ‘data proves they are best’ assertions. I’ve never really been convinced that vastly differing audio performance was achievable with even more vastly different prices for cables and interconnects. Perhaps I was a kind of inverted cable snob. I wasn’t going to succumb to the questionable notion of ‘get what you pay for’ when I bought cables. 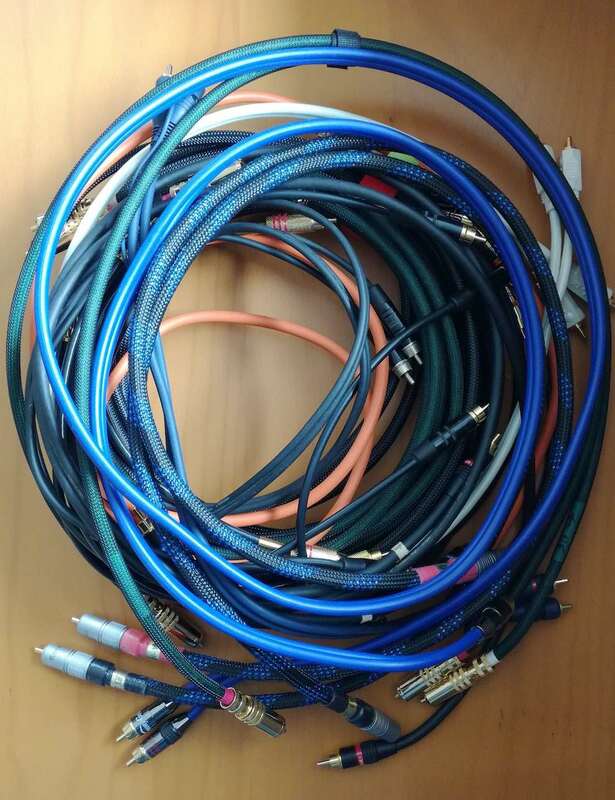 Yet on examining the technical descriptions and the supplied offcut samples of a range of Supra cables, and seeing the material quality and various constructions, I was inspired to give some thought to what is in question with audio cables. A recorded music reproduction system is essentially one or more sources delivering input to an amplifier and electroacoustic transducer combination to (re-)create sound. Ideally, the outputs are coupled directly to the inputs. In practice, interconnects are needed to carry the ‘signals’ between components. The ideal cable would have no unintentional or undesirable influence on the constitution and integrity of the voltage/current fluctuations, i.e. resistance, capacitance and inductance of the carrier would be zero at all times, and loss and interference would not be present. In practice, cables either modify the performance of components, adding ‘character’ to the sound produced by acting as a filter or impedance changer, or they serve by not so doing. This is crucially where electrical engineering knowledge and hi-fi hearing assists with choice of materials and construction and configuration, as well as circuit coupling requirements, to get near to ideal transmission and response. The Jenving Technology people have that understanding in spades. This derives from the enduring design and manufacturing ethos underpinning the product range that was instilled by the audiophile ‘nut’ and telecommunications engineer founder Tommy Jenving. My original project was to find out something about this product range by auditioning a few key Supra products. What resulted from my investigation was quite unexpected. The audible effects of a piecemeal sampling of Supra alternatives were so pleasing that a quite audacious idea was born. I liked what I saw and heard so much that a sonic system spring-clean seemed an appropriate, indeed necessary, investment. I’ve never before even imagined that spring cleaning could be so rewarding! A review that turned into a ‘supra-review’ and product adoption. It’s quite a story. Some phrases continue to echo down the years: “Let them eat cake”, “Never was so much owed by so many to so few”, “I came; I saw; I conquered”. Another is “I liked the product so much, I bought the company”. OK, unlike Victor Kiam, I didn’t! But I did, however, upgrade every power cable on main sources and amplifiers, and all analogue and digital interconnects, including USB and Ethernet. I have made a clean sweep, replacing all cables and power filtering and protection in my system with Supra technology. I had been quite satisfied with the sound from my system. I’ve invested much care in reaching superb musical listening. It’s the culmination of a 40+ years hobby. My assemblage of interconnects and power cables was quite piecemeal, however. Over several decades of adding, removing, and upgrading components, I hadn’t paid more than passing attention to seriously investing in conductors and connectors. And, of course, that was in part due to budget constraints. Cables have been selected on a case by case basis, quite opportunistically, and thus an assortment of brands and DIY pieces was now in use. Yet, with the Supra cables and filters in their place, further potential that had been hidden and dormant was instantly unleashed, most agreeably. The listening experience has stepped up to simply sensational. I love the current state of my system. This is a new peak experience. Over many years I had accumulated a variety of interconnects and a few upgraded power cables, as well as a Belkin Pure AV power conditioner, and some surge-protected power outlet boards with REI/EMI filtering. I had never made an upgrade plan or seriously considered a total system replacement. So, I had interconnects from Cambridge Audio, WireWorld, Monster, and QED, as well as unbranded and various DIY items. I’d also tried several mega-expensive power filtering options, with no audible effect. I had no reason to believe that my cabling and mains conditioning was not highly effective because my system sound quality was clean, fast, and dynamic, although I felt I could do better by investing in more carefully selected interconnects (if and when affordable). 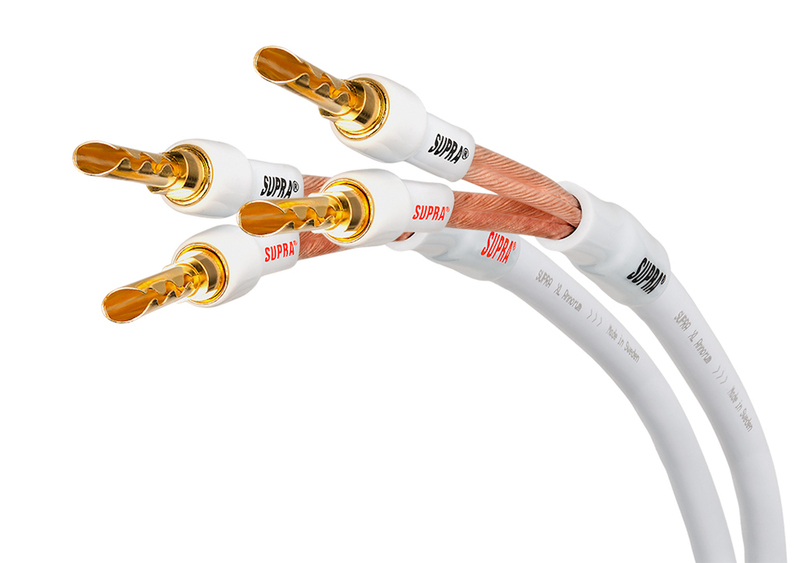 With extensive advice and guidance from the very knowledgeable Mark Polglase, we set about selecting appropriate replacements from the extensive Supra range, so that the audible enhancements would be system-wide and maximised. It’s hard to not be attracted to the Ice Blue sleeving, which immediately connotes clean and calm Nordic water and ice, at once cool and no nonsense. Terminations are all done with military-standard-certified soldering using lead-free silver solder. Jenving also can provide authentic evidence of the significance of cable directionality. Since the cables are rolled and drawn several times, metal crystals in the copper wire are elongated, producing an axial polarity. This directionality can be measured using a spectral technique. This method and a number of power products have been developed in collaboration with the always-interesting audio consultant/engineer/music technologist Ben Duncan. They have shown that when a signal is forced in the opposite direction to the wire draw direction, a significant harmonic noise increase is introduced. All considered, this is a very assuring basis for seriously auditioning the range of Supra products, and this then led to the decision to switch systematically for better power and audio signal transmission. My system is now comprehensively connected with the highest specification fairly priced cables I’ve used. For power supply integrity, shielded from radiation and pick-up, and with short-pitch twisted conductors, the LoRad cables and (MD06) mains blocks with surge protection on phase to ground, neutral to ground, and phase to neutral, and with non-intrusive filtering, and DC-blocking (MD01), made an immediate audible impact on dynamics and clarity, especially weight and tightness of bass. 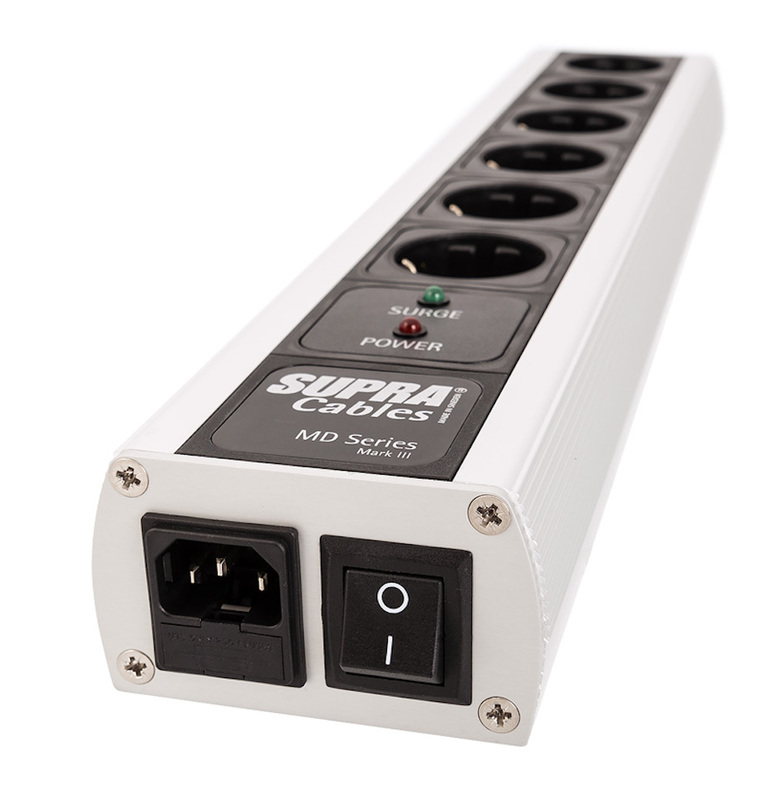 All components are now protected from mains-borne dirty current and surge fluctuations. 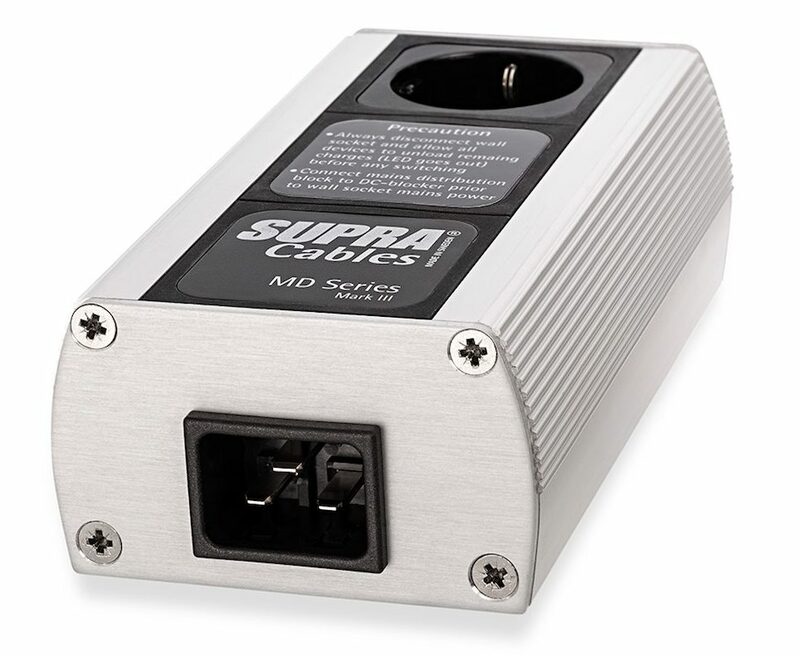 Analogue interconnects are Supra’s flagship – the Sword ISL – for phono components and preamp to power amp connections. This cable works as a perfect signal carrier without the side effects of typically-designed cables, which display severe problems with frequency response and phase shifting. Signal integrity is maintained with almost immeasurable deformation due to Jenving’s mastery of the electro-physical layout, instead of by compensating with add-on treatments. The cable is completely transparent with no inherent “sound lift” of selective frequency emphasis. In each polarity conductor there are twelve individually insulated Litz conductors forming two layers, the inner six spun around an inner core, with high pitch in one direction, the outer six in the opposite direction separated from the inner layer by an extruded insulation layer. This strand orientation efficiently counteracts all unwanted electro-physical properties, giving all audible frequencies uniform conditions internally, and no ‘open window’ for malicious noise to enter. The more affordable EFF-ISL 75 Ohm semi-balanced connection configuration interconnects are used with other components, using Jenving’s equalised frequency flow technique in which the cable consists of two tube-shaped 0.46 mm2 silver-plated OFC conductors, to take account of skin effect. The XL Annorum speaker cable with low inductance has a 4 x 1.6 mm2 square shaped lead configuration, where each lead is a plastic core around which 12 strands of 5N oxygen-free copper are spun in a tight pitch. This minimises skin-effect and inductance efficiently. Sonically benign (a phrase Jenving use a lot) PP is the dielectric (insulation) to ensure long-term sonic stability by preventing corrosion and material fatigue. The SACD player is now connected with a TRICO-RCA 75 Ohm double shielded coaxial digital interconnect with extremely low capacitance and silver plated OFC copper and semi-balanced connection configuration. The outer screen is earthed at one end for immunity to electromagnetic interference. Connection of the PC and streamer to the DAC now uses a USB 2.0 Hi-Speed data transfer 90 Ohm low capacitance cable with dual screens to protect from RF pick-up – one twisted pair for data and another for power, each individually screened. The PC is also connected to the streamer using double-shielded Cat8 cable which avoids interference, and allows jitter-free data transmission up to 2,000 MHz transfer speed for high-resolution music streaming up to 32 bits at 700 kHz and beyond. I had previously upgraded from Cat5e to Cat6. This Cat8 cable quadruples bandwidth between my PC and streamer. Playback and other control response is very noticeably better. Mark Polglase ‘cooks’ all of the cables he supplies to accelerate settling-in effects. He’s certain that cooked cables sound better, and has never had a customer decline his offer. Jenving Technologies don’t have a published view on cable conditioning. I couldn’t resist playing music part-way through the installation. With the LoRad power cabling and filtering, the Trico-RCA, a single USB 2.0, and a couple of EFF-ISL interconnects in, the sound from the Black Ice Audio DSD DAC was dramatically richer and more present than through the previous budget cabling. Several notches up and closer to the music and musicians. A wow at this stage had me wondering what would happen when the Sword interconnects, XL Annorum speaker cables, and other USB and Ethernet cables were in! I heard subtle and some less than subtle unleashing of the recorded music – clarity and subtle detail, clean relaxed dynamics, deep controlled bass, convincing pure timbre, sound stage more realistic and musically balanced. ‘Stereo’ has its origin in the Greek word for ‘solid’, and the solidity of full-bodied presentation of located instruments is impressive. In the words of John Borwick, famed Editor of The Gramophone, “the performers are disposed naturally within their acoustic ambience”, focused and clearly defined. The Supra forte is neutrality. These connectors and conductors are never in the way of the music, and once installed do nothing sonically to draw attention to themselves (although visually they look great, especially the Swords!). It’s the music that shines through. An example of what’s happened is heard on two albums I had decided not to keep because they sounded confused, muddled and overloaded – I now can hear the instruments and voices more clearly – they make much more sense as musical tapestries, and turn out to be interesting, even exciting. Now I can clearly hear the instruments, distinguish each from other, in concert with each other, each taking their rightful place, in contrast to hearing them as some flat, depth-less, cacophony. This is not a trivial matter. Highly effective cables and connectors enable system components to transduce the recording into realistic solid aural images that translate the performers’ interpretation of the music compositions. From 16th Century Classical Greek, stereos refers to the physical characteristics solid, hard, and three-dimensional, and stereopsis is the forming of solid appearance. An elevated sense of a solid image recreates music with the illusion of presence. The term stereophonic first appeared in English in 1927 courtesy of Western Electric whose engineers sought analogy with stereoscopic vision, but it never meant two channels/speakers. That is the means to produce a sound field with solid auditory images – the stereo effect as intended by Alan Blumlein at EMI in the 1930s. Early in the commercialisation of the stereo effect for music listening, in the 1960s, communication philosopher Marshall McLuhan, commenting on the hi-fi quest for realistic sound, observed that the sensation of having performing instruments in the room with you was both tactile and kinetic, as well as sonically resonant. Stereo was to be a wrap-around sound, a depth experience. This meant in interrelation, not in isolation. Depth means insight, not point of view. Such insight is a mental involvement in process and the content seems secondary. This is what I mean by engagement. The listening in depth is quite different to surface hearing. Thinking of the aural image of music being played as if it were a movie film presented on a screen, since putting the Supra products into my system there’s a more realistic picture, everything is brighter, richer, sharper focused, with crisper livelier (less blurry) movement, and there’s discernibly more happening around the image, and it’s less two-dimensional and more three-dimensional. It’s like looking through a very clean high-quality glass window at a more detailed panorama, with a greater sense of perspective. The sonic equivalent of cleaning and polishing the TV screen, then adjusting the focus, brightness, and contrast. It feels like signals are just a bit stronger and cleaner, the music picture fuller and the components are talking to each other a little more easily and freely, better performing to their capability to resolve detail with weight and nuance. Continuing with the movie film analogy, it’s like the image resolution shift from 35mm Cinerama and Techniscope to 70mm iMax HD. Indeed, the auditory ‘screen’ seems bigger. During my system overhaul, Richard Thompson issued his 13 Rivers album. He explains his new songs as rivers, each a story flowing from source to termination. I’ve taken to heart that movie film idea of flow in hearing music playing. When the Sword and XL Annorum cables arrived from Mark’s ‘cooker’, I put the Sword interconnects between the phono preamps, to the preamp, and on to the power amplifiers, and the Annorum between the monoblocks and speakers, respectively, moving the EFF-ISL interconnects to other component connections. Then… well, with my born and bred Yorkshire reserve I don’t say a lot of overly excited superlatives. I must make an exception on this occasion, though. It’s a confirmed and firm WOW from me on the sound quality with these special cables completing my system. The cable and power filtering change-over is a dramatic upgrade to sound quality in my system. Engagement is startlingly transformed. The resulting sound quality is subtly different. On superficial listening a sense of small enhancement is noticeable. Sitting back and engaging in deep listening, the experience of presence is profound. I sense enhanced solidity. That word kept coming to mind. When I looked up the original meaning of ‘stereo’ I discovered sonics solidity, and not mere spatial separation, to be the aim of modern hi-fi. Whereas I was accustomed to ‘watching’ a movie film of a ‘landscape’ and music played, I now feel that I have direct sight of the vista. Spatial location and depth perception in the sound image is striking, as is sound colour, as captured in the recordings. What colour is a sound?, I hear you ask! This distinctive sonic character, termed timbre, is the combined qualities that distinguish sounds of the same pitch and volume. From this, room acoustics, choice of instruments and tuning, voices, and so on are discernable. This sensation of depth is the big enhancement over what I had experienced prior to this refit project. There’s a strong and very pleasing sense of being present in the music performance space. When I say present, I mean the illusionary feeling that I’m in the room the recording was made in. Now I have more sense, as I listen, of the ambience of the recording space of the music performance. Now music doesn’t any longer seem to come from the speakers. This, I think, is what some listeners refer to as “sound stage”, but that’s not the same thing as sonic image. I don’t sense the players coming into my room, it’s more that I am transported to their space. I’ve even experienced my first vivid hi-fi hallucination sensation of ‘mentally wandering’ in engagement with a live intimate club recording, in that with my eyes closed I could see the vocalist at the central microphone and the band members playing behind, and I could move around the performance space as if I was there with them. This kind of enjoyment is surely the pleasure pursued by the audiophiliac and musicophile. I have long been sceptical of the claims of miraculous transformation, mystified and annoyed by the pseudo-science, and outraged by the mega-prices. Since first exploring this range of carefully engineered audio products, I’ve learned enough to be able to answer my own question. I now know that Supra means a special sort of Swedish superior signal support system. For the Jenving Technology team, it’s all about low inductance, low capacitance, low noise, and being Swedish! Above all, it’s about enabling signals to flow unfettered so that components can perform properly. In English, the ‘supra’ prefix means ‘above, over’ or ‘beyond the limits of, outside of’. These are no run-of-the-mill system accessories, nor are they pretentious mega-priced bling. “Supra’s ready!”, and very very willing, and expertly capable. It’s a scientifically-specified sonic support system for your recorded music. High-quality durable engineering is not cheap, but always worth anyone’s money. Jenving has succeeded in making products that bring forth the aural images first envisaged in the introduction of stereo. Forget the fairytales. You can sense when things are right. I thought carefully about my choice of superlatives. What was once exceptionally good is now great. The sound I’m now listening to is glorious, and gorgeous. I’m impressed by spectacular presentation. Hearing, and seeing, is believing. Marvelous. Supra!